This bar stool was first introduced by The Studio about three years ago. Since then we have made hundreds of them for bars, restaurants, homes and offices. Our standard bar stool features a (approx) 13" diameter seat made of either reclaimed barn wood or sustainably harvested wood. The seat is height adjustable and when in it's lowered position is (approx.) 20" tall and can be safely raised to (approx.) 30". Custom sizes are always available. 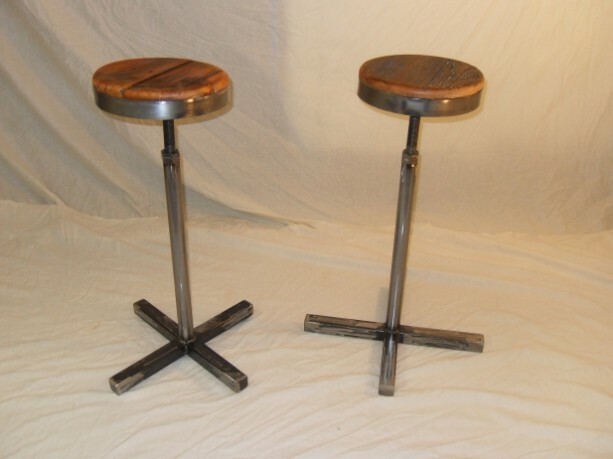 Unless otherwise stated our bar stools come with a natural finish and the steels patina is our Tribeca patina. Tribeca is a burnished steel done with a variety of sanding and grinding discs and then clear coated with an automotive grade clear coat for exceptional durability. 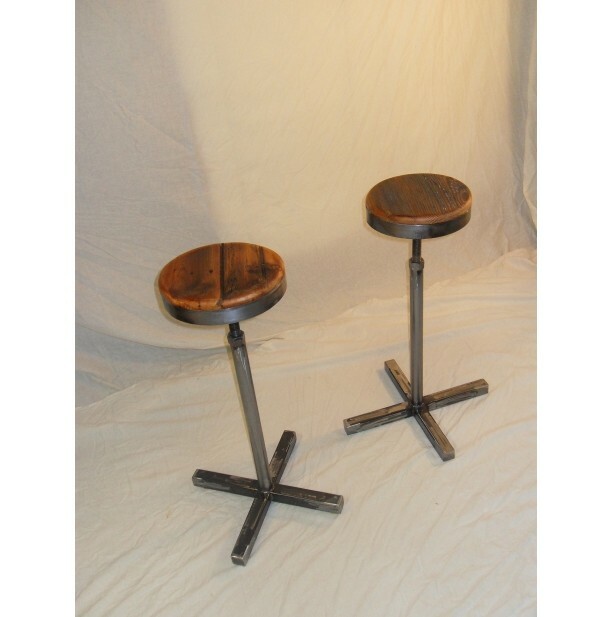 One of our ideas for this bar stool was to incorporate non marking felt feet that are height adjustable for leveling the stool out on an uneven floor. Discounts are available for multiple orders! 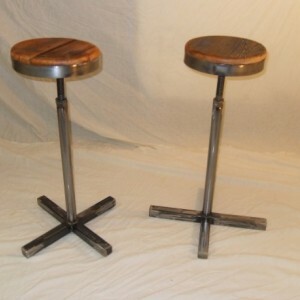 We've attached a picture of one of our customized bar stools with an optional ($45) foot rest. Just let us know if you'd like one and we'll do a custom listing for you! All of the Studio by Christophers furniture is what we consider "heirloom quality." Our furniture will endure generations of daily use and outlast all of us, being passed from generation to generation. We keep this in mind during all stages of our design and fabrication. We're very attached to our work and we know it'll become a cherished part of your life.